Daniel Edward Koshland Jr. (March 30, 1920 – July 23, 2007) was an American biochemist. He reorganized the study of biology at the University of California, Berkeley, and was the editor of the leading US science journal, Science, from 1985 to 1995. He was a Member of the United States National Academy of Sciences. Koshland is one of three children born to a Jewish family, the son of Daniel E. Koshland Sr. and Eleanor Haas, daughter of the Haas family patriarch Abraham Haas. He has two siblings: Frances "Sissy" Koshland Geballe and Phyllis Koshland Friedman. His father served as CEO of Levi Strauss & Co. from 1955 to 1958 and is widely credited with saving the company during the Great Depression. Koshland's private fortune, derived from Levi Strauss, put him on lists of America's wealthiest people. Rather than relying on his fortune, Koshland chose to pursue a career in science. Koshland wrote in an autobiographical article that he decided to become a scientist in the eighth grade after reading two popular books about science, Microbe Hunters by Paul de Kruif and Arrowsmith by Sinclair Lewis. Attending Phillips Exeter Academy for high school Koshland then became the third generation of his family to matriculate to the University of California at Berkeley (UCB) where he majored in chemistry. The next five years, 1941–46, were spent working with Glenn T. Seaborg at the University of Chicago on the top-secret Manhattan project, where his team purified the plutonium that was used to make the atomic bomb at Los Alamos. In 1949, he received his Ph.D. in organic chemistry from the University of Chicago. His early work was in enzyme kinetics at Brookhaven National Laboratory, Long Island, and Rockefeller University, New York. This led him to propose the induced fit model for enzyme catalysis. After this advance, he turned to studying how bacteria control their movements in chemotaxis. Dr. Koshland's laboratory made three major discoveries concerning protein phosphorylation in bacteria. (1) The first phosphorylated bacterial protein, isocitrate dehydrogenase, was identified. (2) It was demonstrated that substituting an aspartate residue for the serine residue that was phosphorylated causes the protein to behave as if it were phosphorylated. (3) The response regulators in the two-component regulatory systems were shown to be phosphorylated on an aspartate residue and to be protein phosphatases with a covalent intermediate. He spearheaded the reorganization of the biological sciences at Berkeley, merging 11 departments into three. In 1992, Koshland Hall was named after him. The building is located next to (and on some floors connected to) Barker Hall. Koshland Hall houses a number of laboratories in both Molecular and Cell Biology as well as Plant and Microbial Biology. Koshland served as editor of the journal Science from 1985 to 1995. His philosophical essay The Seven Pillars of Life is frequently cited and discussed in terms of extraterrestrial and artificial life as well as biological life. 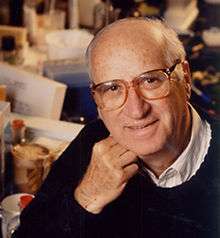 In 1998, Koshland was awarded the Albert Lasker Special Achievement Award given by the Lasker Foundation for medical research in the United States. In 2008, the award was renamed the Lasker-Koshland Special Achievement Award in Medical Science in honor of Koshland. He was married to Marian Koshland (née Elliot), a fellow UC Berkeley professor, from 1946 until her death in 1997. Marian was a gentile, the daughter of a teacher who had immigrated from Denmark and a hardware salesman father of Southern Baptist background. Daniel and Marian had five children: Ellen Koshland, Phyllis "Phylp" Koshland, James Koshland, Gail Koshland, and Douglas Koshland. Koshland's son Douglas Koshland is a professor of genetics at UC Berkeley. Donald Koshland supported the creation of the Marian Koshland Science Museum by giving a major gift to the National Academy of Sciences in Marian's honor. After his wife's death in 1997 he reconnected with onetime classmate Yvonne Cyr San Jule and they were married in on August 17, 2000. San Jule had four children from previous marriages: Christopher Keene, Philip, Elodie Keene, and Tamsen Calhoon (née San Jule). ↑ Schekman R (2007). "The nine lives of Daniel E. Koshland Jr. (1920 2007)". Proceedings of the National Academy of Sciences. 104 (37): 14551–2. doi:10.1073/pnas.0707644104. PMC 1976236 . PMID 17720803. ↑ "Richest List Has Gates at No. 1, Plus 83 Californians". Los Angeles Times. September 29, 1997. Retrieved April 1, 2016. 1 2 Maugh, II, Thomas H. (July 26, 2007). "Daniel Koshland Jr., 87; UC Berkeley molecular biologist". Los Angeles Times. Retrieved April 1, 2016. ↑ Koshland D (1996). "How to Get Paid for Having Fun". Annu. Rev. Biochem. 65: 1–13. doi:10.1146/annurev.bi.65.070196.000245. PMID 8811172. ↑ "Phillips Exeter Academy | Dr. Daniel E. Koshland '37 to Receive the John Phillips Award". Exeter.edu. Retrieved October 22, 2013. ↑ "Albert Lasker Award for Special Achievement in Medical Science". laskerfoundation.org. The Lasker Foundation. Archived from the original on January 6, 2009. Retrieved July 6, 2013. ↑ "Remembrances: Daniel E. Koshland Jr. (1920–2007)". The Wall Street Journal. July 28, 2007. ↑ Wang JY, Koshland DE (October 1, 1982). "The reversible phosphorylation of isocitrate dehydrogenase of Salmonella typhimurium". Archives of Biochemistry and Biophysics. 218 (1): 59–67. doi:10.1016/0003-9861(82)90321-6. PMID 6756316. ↑ Thorsness, P. E.; Koshland Jr, D. E. (March 25, 2013). "Inactivation of isocitrate dehydrogenase by phosphorylation is mediated by the negative charge of the phosphate". J Biol Chem. 262 (22): 10422–5. PMID 3112144. ↑ Sanders, DA; Gillece-Castro, BL; Stock, AM; Burlingame, AL; Koshland DE, Jr (December 25, 1989). "Identification of the site of phosphorylation of the chemotaxis response regulator protein, CheY.". The Journal of biological chemistry. 264 (36): 21770–8. PMID 2689446. ↑ Sanders, D. A.; Gillece-Castro, B. L.; Burlingame, A. L.; Koshland Jr, D. E. (March 25, 2013). "Phosphorylation site of NtrC, a protein phosphatase whose covalent intermediate activates transcription". J Bacteriol. 174 (15): 5117–22. PMC 206329 . PMID 1321122. 1 2 Sanders, Robert (July 24, 2007). "Eminent biochemist Daniel Koshland has died". berkeley.edu. University of California, Berkeley. Retrieved July 6, 2013. ↑ "Koshland Hall". University of California, Berkeley. Retrieved April 1, 2016. ↑ "Dan Koshland, 1920–2007: In Memoriam". Science. AAAS. 2007. ↑ Koshland Jr., D. E. (March 22, 2002). "Special Essay: The Seven Pillars of Life". Science. 295 (5563): 2215–2216. doi:10.1126/science.1068489. PMID 11910092. Retrieved April 2, 2016. ↑ Moore, David Moore (2013). Fungal biology in the origin and emergence of life. Cambridge, MA: Cambridge University Press. p. 105. ISBN 978-1-107-65277-4. Retrieved April 2, 2016. ↑ "1998 Albert Lasker Special Achievement Award in Medical Science: Science communication and education". Albert and Mary Lasker Foundation. Retrieved April 3, 2016. ↑ "Discoverers of Small Regulatory RNAs and Cholesterol-Lowering Drugs to Receive Lasker Awards for Medical Research". MarketWatch. September 13, 2008. Retrieved September 16, 2008. ↑ Guyer, Ruth Levy. "Marian E. Koshland Biographical Memoir" (PDF). National Academy of Sciences. Retrieved July 9, 2012. 1 2 Thomas H. Maugh II (July 26, 2007). "Obituaries – Daniel Koshland Jr., 87; UC Berkeley molecular biologist, editor of the journal Science," Los Angeles Times, accessed November 12, 2009. ↑ "ASCB Profile: Douglas Koshland" (PDF). ASCB NEWSLETTER. American Society for Cell Biology: 12–13. 2005. ↑ Tjian, Robert (August 2007). "Daniel E. Koshland, Jr. 1920–2007" (PDF). Cell. 130 (4): 579–580. doi:10.1016/j.cell.2007.08.011. PMID 17915359. Retrieved April 1, 2016.